One of the biggest devastating accidents with an aquarium can be a leak or overflow. An overflowing tank or leaking piece of equipment can cause a ton of damage to not only your home but also the items in a close parameter of the aquarium. The ALD module will connect directly to any Apex controller and also with the Neptune Leak Detection probes which will alert you of any possible leak that may be occurring by strategically placing the probes around the stand, sump, and tank. 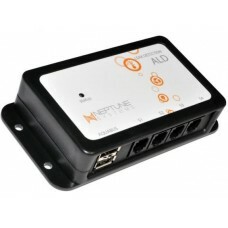 Easily detects a water leak in four different locations with the ALD module from Neptune Systems. Two different ALD probe designs are available. 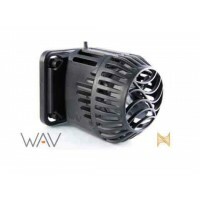 One ALD probe is low-profile and slides easily under the carpet behind or next to your aquarium. 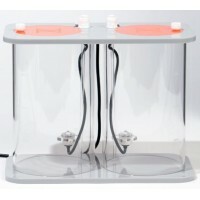 The other probe style is a tad larger and is designed to be placed on solid surfaces. 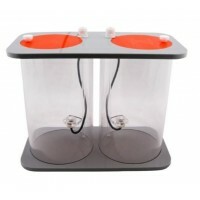 This probe is perfect for inside the bottom of your aquarium cabinet. And, we add extra weight to this probe so that it stays firmly against any surface you set it on. The ALD and the individual leak detection probes are sold separately so that you can mix and match the probes you want to use on your system. The Neptune Systems Apex Advanced Leak Detection Module (ALD) gives your Apex the ability to detect water on the floor in up to four separate locations and tells your Apex to sound an alarm or send you an email. 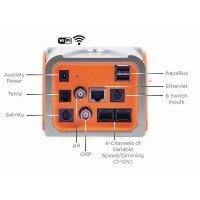 This new module is Plug-and-Play, connecting to the Apex System’s AquaBus. 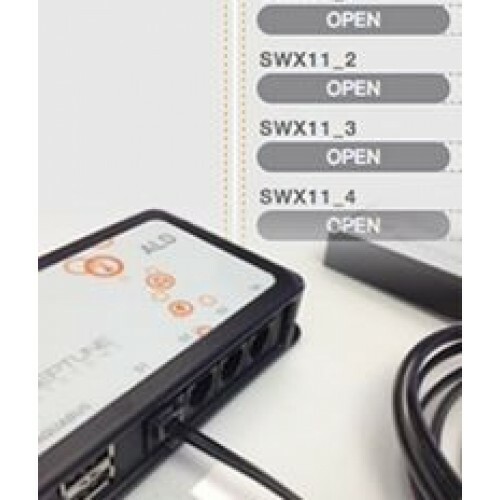 It has four separate probe ports where you can plug in either the Apex Low Profile Leak Detection Probe or the Apex Solid Surface Leak Detection Probe. The ALD has four inputs for the ALD probes.